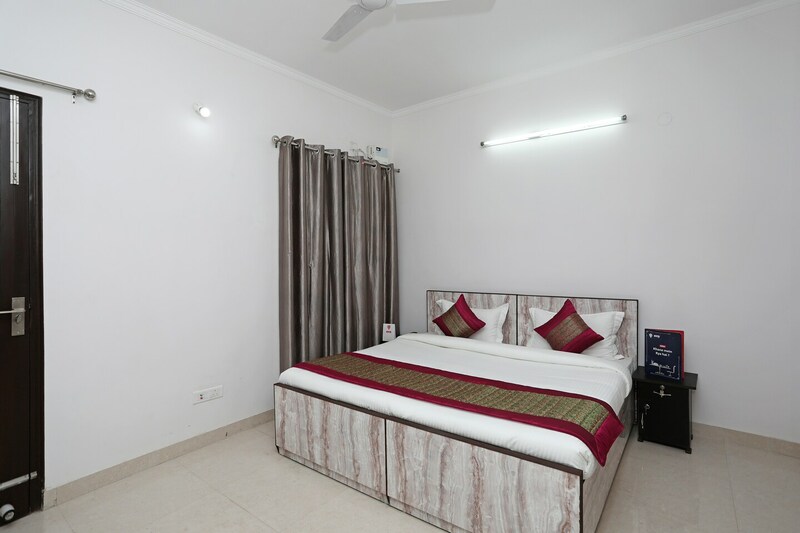 Hotel Go Rooms is located in Saraswati Kunj, Golf Course road in Gurugram. It is equidistant from sector 53 and 54 metro stations. The hotel rooms are decently decorated and have windows and balcony for natural lighting. The in-room facilities include free wi-fi, bed with side tables, intercom service, air conditioning, power backup, parking facility, television, geyser, card payment, laundry services, and CCTV cameras. The Indira Gandhi international airport is within half-hour drive. The list of restaurants in the area include Nooba, Soul and Spice Company, Malabar Taste Buds, Bercos, Midnight Craving Beyond Control, Bikers Cafe and Metro Bar and Restaurant.